I used to be a policy skeptic. I often wondered if it just created another layer of bureaucracy? Today, I know differently. Throughout my career, I’ve observed that successful organizations take the time to articulate and write down what they think is right. A policy sends a number of messages. First, it declares that we, as an organization, recognize what’s important. Second, it identifies a community of people who are held accountable for taking action. Third, a policy indicates that the organization and its leaders want to make sure things are done the right way. It sets a course without being overly prescriptive. Fourth, excellent organizations make a practice of communicating what they really stand for. 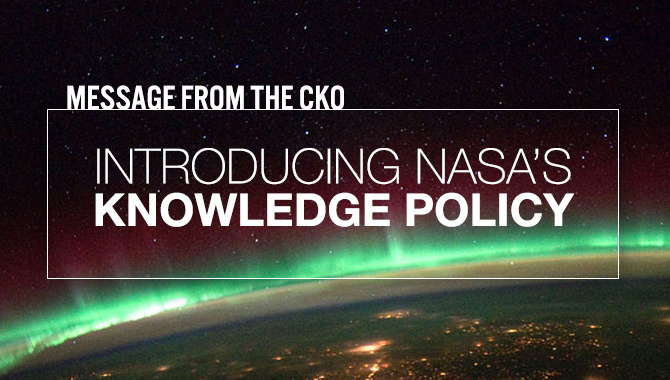 As NASA’s Chief Knowledge Officer (CKO), I have worked with CKOs and points of contact from NASA’s centers, mission directorates, and cross-agency organizations to create the agency’s first-ever knowledge policy. I have been told that NASA is a leader in the knowledge world, and I am both humbled and encouraged by this feedback. However, the act of articulating what we believe in and what we think is right was challenging. Frankly, it forced our knowledge community to think about how we define knowledge in a way we hadn’t had to before. What is knowledge at NASA? Where does it come from, how is it formed, where does it live, and how is it shared? Our community came together and discussed these questions at great length, developing a common language for defining and discussing knowledge at NASA. We established six categories for describing the current range of knowledge activities taking place across the agency: online tools, search/tag/taxonomy tools, case studies and publications, lessons learned and knowledge processes, knowledge networks, and face-to-face knowledge services. As our activities change over time, this vocabulary will inevitably evolve as well. These conversations led us down another path, examining what the agency does well and where it needs improvement. 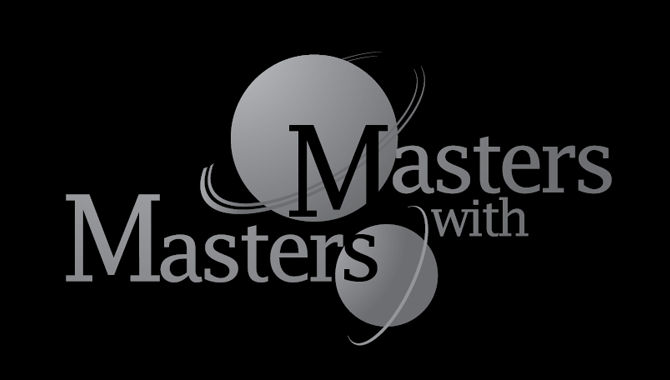 For instance, NASA has a wealth of face-to-face knowledge activities at the center level, such as Goddard Space Flight Center’s “Pause and Learn” activities. Conversely, the agency’s ability to make its knowledge easily searchable online is still a problem begging to be solved. We also identified roles and responsibilities for employees across the organization, from senior leaders to every individual working at NASA. All of us share responsibility for capturing and sharing the agency’s knowledge. In November, the Administrator signed NASA Policy Directive (NPD) 7120.6, “Knowledge Policy on Programs and Projects.” Rather than serving as a top-down mandate, the policy establishes a federated approach for governance of knowledge. 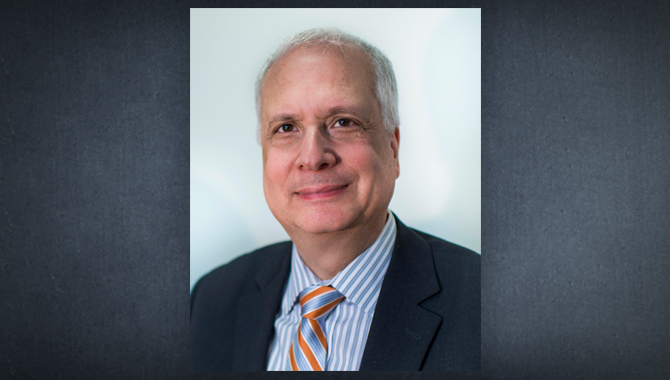 Each center and mission directorate will develop its own strategy, with the understanding that knowledge will be shared across the agency to the greatest extent possible. The policy unifies these efforts. Click to read NASA’s Policy Directive (NPD) 7120.6, Knowledge Policy on Programs and Projects. The Chief Knowledge Office invites you to contact us with feedback, story suggestions, and other topics of discussion.